Ultra soft, coloured filaments care for even more ease of use. Trisa bristles are of special filament named Tynex which combines Nylon in a special formulation to deliver strength, stiffness, durability and moisture resistance. Start your day fresh and healthy! Additional Information: TRISA is one of the world's leading providers of toothbrushes, hair care and body care products. In addition to manual oral care products, Trisa manufacture oral electrical products as well as interdental care products. Thanks to high quality products, "Made in Switzerland and dedicated marketing Trisa is a technology leader in oral hygiene products. All toothbrushes are manufactured in Switzerland according to the most stringent quality criteria. Explore the entire range of Manual Toothbrush available on Nykaa. 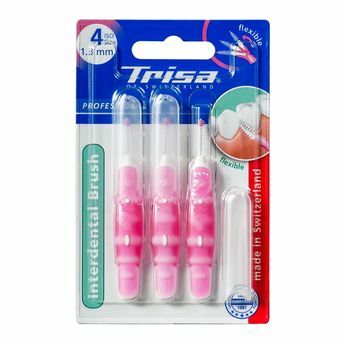 Shop more Trisa products here.You can browse through the complete world of Trisa Manual Toothbrush .